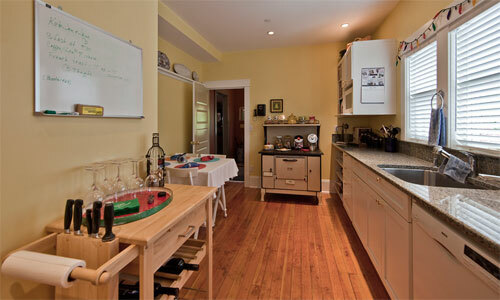 The kitchen is stocked with complimentary snacks and beverages. 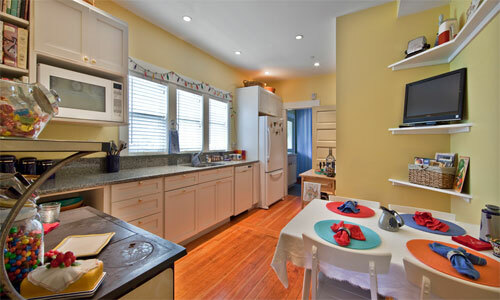 There is a small flat-screen TV for catching up on the news, a convection-microwave for your use, and a refrigerator for stocking any personal items you need to keep cold. 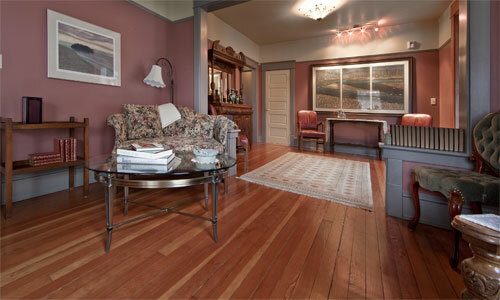 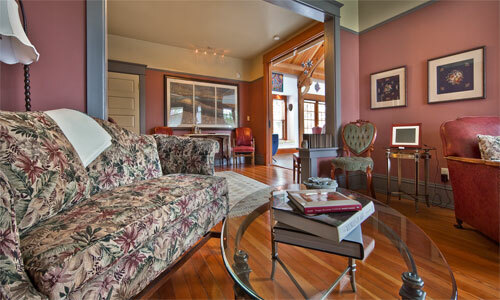 Sink into the leather chairs and loveseat in the Parlor and enjoy the comfort of feeling right at home.